There are two carved wooden signs on the two roads that lead into the village. 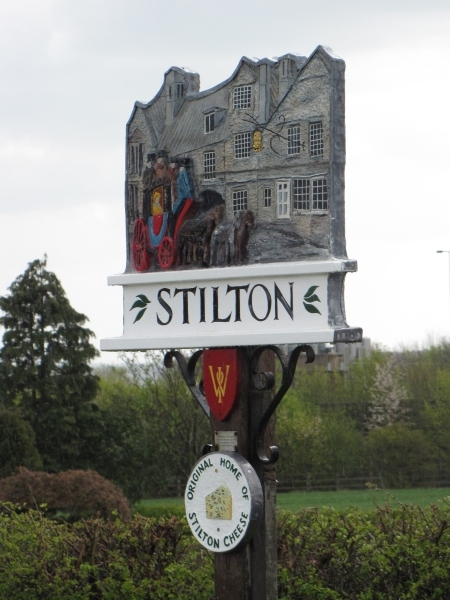 Both were made by local woodcarver and sculptor Glyn Mould, who also made the more recent plaques proclaiming Stilton as the true home of Stilton cheese. This is the sign you see as you enter the village from Norman Cross. It is located on North Street, opposite the junction with Mill Road, and depicts a stage coach outside the Bell Inn. It was presented by the Women’s Institute. 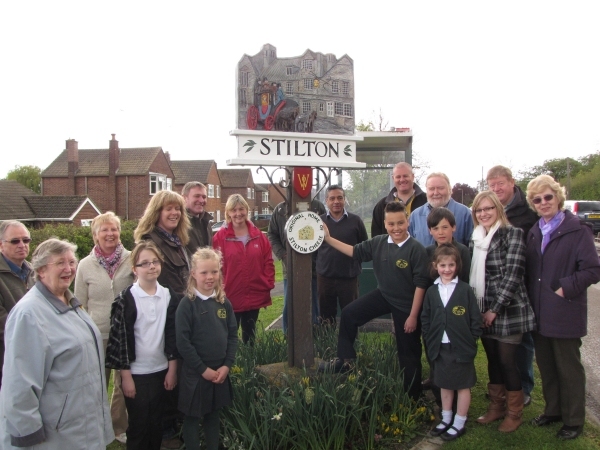 The circular plaque proclaiming Stilton as the ‘Original Home of Stilton Cheese’ was added in April 2012 and unveiled by the Stilton School Council and the Parish Council. 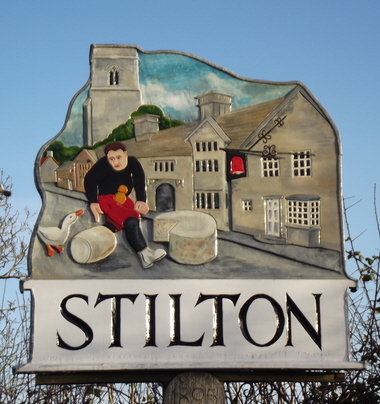 Note the goose; Stilton was once an important stopover for farmers driving their geese to market. The hapless birds were ‘shod’ for their long walk by dipping their feet in pitch and walking them through sand. 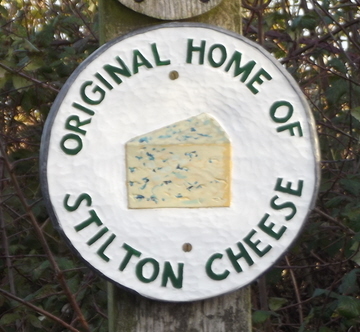 And of course we’re proud to have been the birthplace of the world’s finest blue cheese.